Antonio Conte admitted the "two faces" of Chelsea were evident after the Premier League champions were humbled 3-2 by Burnley at Stamford Bridge. Gary Cahill was sent off in the 14th minute by referee Craig Pawson for a high lunge at Steven Defour and Burnley responded by powering into a 3-0 lead with two goals from Sam Vokes and a Stephen Ward strike. Chelsea fought back through Alvaro Morata and David Luiz, but Cesc Fabregas' dismissal for two bookable offences disrupted their momentum in a second-half they dominated. "The red card was a key moment. After that we lost our composure and conceded three goals," Conte said. "We have to improve a lot on this aspect because there was the rest of the game to try to do our best. We must have the right experience to face this situation. "Instead we conceded three goals and in the second half it was very difficult to change the final result despite the great commitment, will and desire of my players. "I'm very proud of my players, but in this game we saw two faces - the first half negative and the second half positive. "In the second half we changed totally the situation and tried to attack in the right way." When asked if Pawson got the big decisions right, Conte replied: "Mmm.....I prefer to not comment on the referee's decision and performance. "I think that the coach, the players and referee can make mistakes." Conte, who named £58million Spain striker Alvaro Mata on the bench, denied a suggestion that his team selection was a message to the board that he is disgruntled over Chelsea's transfer activity this summer. "In our pre-season, in every pre-season, I played our best formation and I did the same against Burnley. 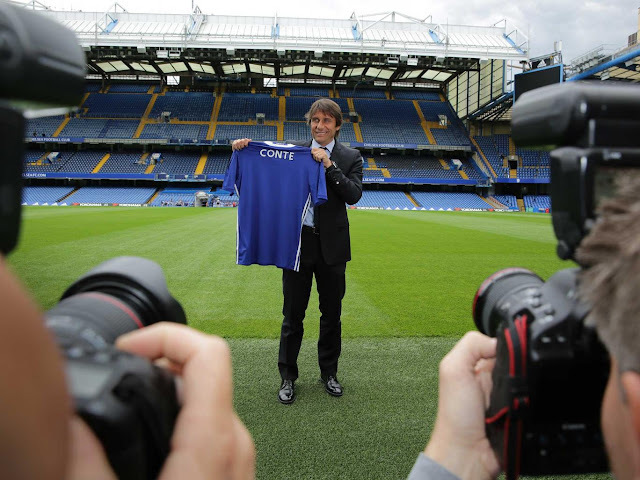 I picked the best players that we have at this moment," Conte said. "Why do I have to send a message? Why? I want to win. I wanted to win here, not to send a message." Burnley boss Sean Dyche praised Pawson's officiating of the game, insisting he had performed well in difficult circumstances, and declared his team worthy winners. "The sending off makes a big difference. I haven't seen it but my staff tell me it's the correct decision," Dyche said. "I thought the referee was really good. He had a tough game to handle and he did well overall. We responded to the sending off well. "We were disappointed in the two goals conceded because before that we'd kept a really good shape and they didn't have too many chances. "It's a big win for us because they're a fine side. Even with 10 men they're a very good team. They're strong and physical. "They opened up the pitch even more when they had 10 men which put us on the back foot a bit. I'm really pleased with our mentality."